ShoutBloger: In this official statement, Twitter expressed with this additional so now there are more than 100 locations of twitter trending topics. As many as 70 new locations of Twitter trending topics including, Argentina, Australia, Chile, Colombia, France, Germany, India. While the new city, Detroit, Miami, Rio De Janiero, Sydney and Toronto. With the addition of this new location, the owner of a Twitter account can see the most hot topics and popular being discussed at that location. The new locations are listed in the list of countries. For example, Jakarta and Bandung is in Indonesia. If the account owner would like to see trending topic in Bandung or Jakarta, they have to replace the previous location. On 21th March, Twitter celebrates 5th anniversary. Though young, hatched twitter Jack Dorsey on March 21, 2006 really change people lives. Revolution of the Middle East and Africa is one proof of the awesomeness of this social network site. Starting from a tweet Inviting coworkers, five years ago, users of Twitter continues to grow. 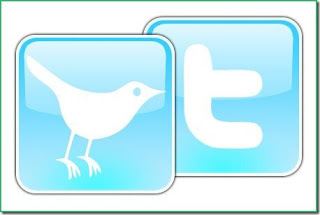 Now there are at least 50 million tweets a day equivalent to 600 tweets per second.